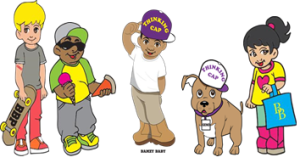 Bamzy Baby's 5 Ways to Wear Your Thinking Cap This Summer! Home Parent Tips 5 Ways to Wear Your Thinking Cap This Summer! Summer is here and Bamzy Baby & Friends are excited for all of the fun activities happening around this time of year. Beach play, barbecues, summer camp and more! There’s so much to do; we’re sure your little ones can’t wait to get outside! It’s important that our friends worldwide have fun while being safe by using their thinking caps. Here are 5 tips to share with children for a GREAT and SAFE summer! Wear sunscreen/safety gear– Outdoor fun in the sun is a BIG part of summer. Protect your skin with some sunscreen to prevent sunburn after a long day outdoors. Whether you’re going out for a bike ride, hiking or any other kind of play, be sure to wear your gear! Helmets and knee-pads are important to protect your body when doing a rigorous activity like skateboarding. Wear comfortable footwear for hiking and dancing to protect your feet. Drink plenty of water– Staying hydrated is extremely important in the summer heat. Juice is tasty, but water is an essential and healthier choice for friends to cool off and keep their energy up. The amount of recommended water per day depends on age and size (varying from about five glasses for five years to about eight glasses for children over thirteen), but the important thing to remember is to spread consumption throughout the day. Be consistent for consistent results! Alkaline water is especially good for you! Eat fruits and veggies -An active summer calls for active energy. There are so many tempting sweets and snacks like popsicles and ice cream that may seem like they’ll help cool you off, but sugar can actually cause you to become thirstier. Try a naturally sweet apple or some grapes that are tasty, lower in calorie count and offer excellent sources of vitamins! Freeze your fruits first for a cool treat! Stay with your group– No matter your destination, it’s important to stick with the people you came with and check in whenever you want to change plans. With big locations like museums or the beach, there are lots of people out and so it can be very easy to get lost. Establish a field trip plan with rules, keep them simple and explain them to your child before you get to your destination. Once that’s done, a gentle reminder can be used as children will already be familiar with the rules. As a bonus, you may want to have your child wear a distinct color or have everyone in your family or group wear the same shirt so that they are easy to identify. Pay attention to your surroundings– Explain that “if it doesn’t feel safe or feels uncomfortable where you are, it might not be a good place to play, so tell a grownup you know and trust.” Make sure that children can see their grownups in highly populated places and that there’s enough safe physical space for everyone to enjoy their play activity. BONUS: Wear your thinking cap! Literally AND figuratively! 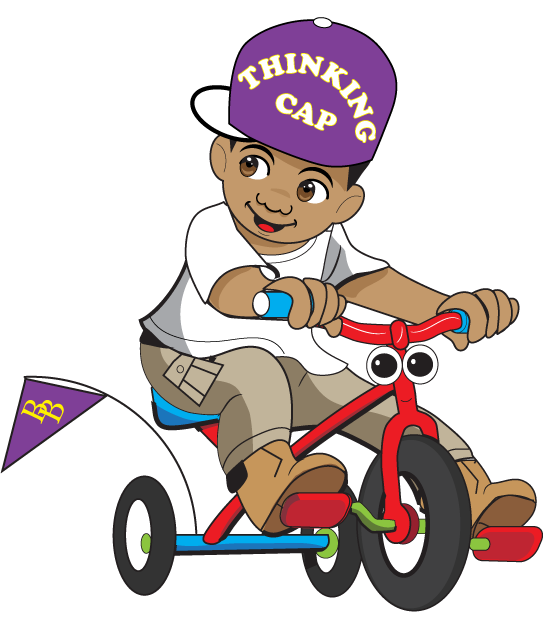 Wearing your thinking cap to make the right and SAFE choices this summer will ensure a happier and healthier time! Plus wearing a thinking cap helps block the sun from too bright rays and serves as an extra barrier from getting a sun burn. That’s it! Did we miss anything? What are your summer plans?